First and foremost, the Patriots (and Giants), biggest goal for tonight’s game is to come out healthy. 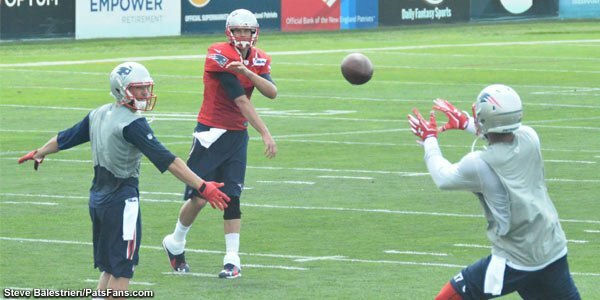 But there are five things to watch for from a Patriots perspective. 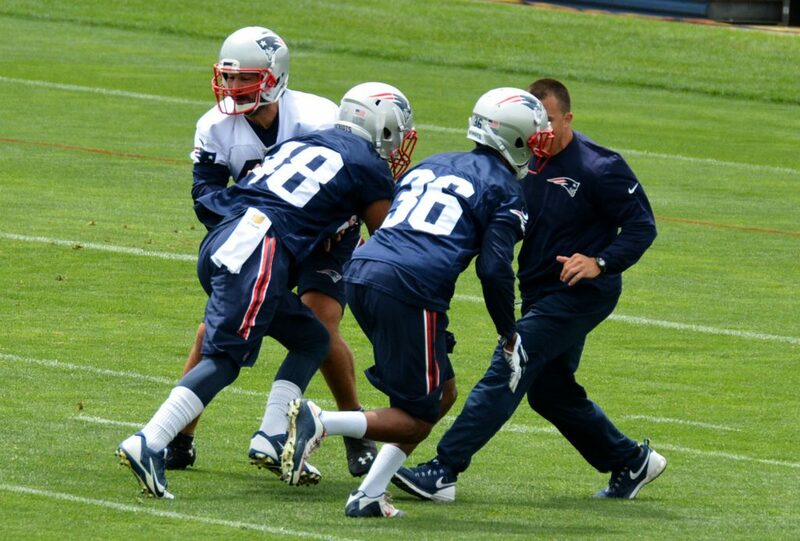 Saturday comes to the cut-down to the 53-man roster and there are still some intense positional battles going on. Running Back Battle Comes Down to Two: Looking at the game tonight, the battle comes down to Tyler Gaffney and D.J. Foster. Who will the Patriots keep? Will either make the roster or will they cut loose both in the hopes of landing both back on the practice squad and pick up another running back not on the roster? With LeGarrette Blount, James White, Brandon Bolden and FB/TE James Develin seemingly safe, that leaves a single roster slot open. Gaffney had a nice game against the Saints and ran well against the Panthers a week ago. He’s the prototypical big back who can carry the ball between the tackles and catch the odd pass out of the backfield. Foster is still a largely unknown quantity but with a ton of upside, especially catching the ball out of the backfield. He’s an extremely intriguing player who was both a running back and wide receiver at Arizona State and showed lightning quickness out of the backfield in the spring. But then he pulled a hamstring and missed nearly all of training camp. I expect we’ll see a ton of these two tonight as the other players with the exception of Joey Iosefa probably won’t see much playing time. The one issue is, will Foster clear waivers and be available to be brought back onto the practice squad if he’s let go? I don’t think so. Interior Offensive Line Still Up for Grabs: Specifically, the right side is still a question mark. Shaq Mason broke his hand and is on the shelf for the time being. Josh Kline is dealing with a shoulder issue although he will probably play some against the Giants. With those two guys hurting right now, who steps up? The most obvious choice this spring was Jonathan Cooper. The Patriots brought him over in the Chandler Jones trade and throughout the spring he was getting all of the first-team reps. But he’s suffering from plantar fasciitis and went down in the very first padded practice on July 30. He just returned to the field this week and is a bigger unknown to the Patriots than perhaps even Foster. If he’s able to go this week, then he’ll be the guy to watch. Ted Karras has been out there and battling all summer, something Bill Belichick always seems to remark upon in his press conferences, players available and working out daily. Karras isn’t the most athletically gifted offensive lineman but he’s more than made up for that in the physicality department. He’s tough, plays to the whistle and brings the Logan Mankins type of mean streak to his play. He’s been versatile too, not only has he played guard but taken some snaps at center as well. With Belichick, the more you can do sometimes, the more valuable you are and Karras will be one of those tough guys to part with. The rest of the offensive line starters seem set. The only other question is, do they keep four tackles and does Cameron Fleming make the 53? He’ll get plenty of looks tonight at both right tackle and as the extra blocking tight end…the more you do. Cornerback Choice Will Be Tough: The Patriots seem set with their top three corners with starters Malcolm Butler, and Logan Ryan returning. 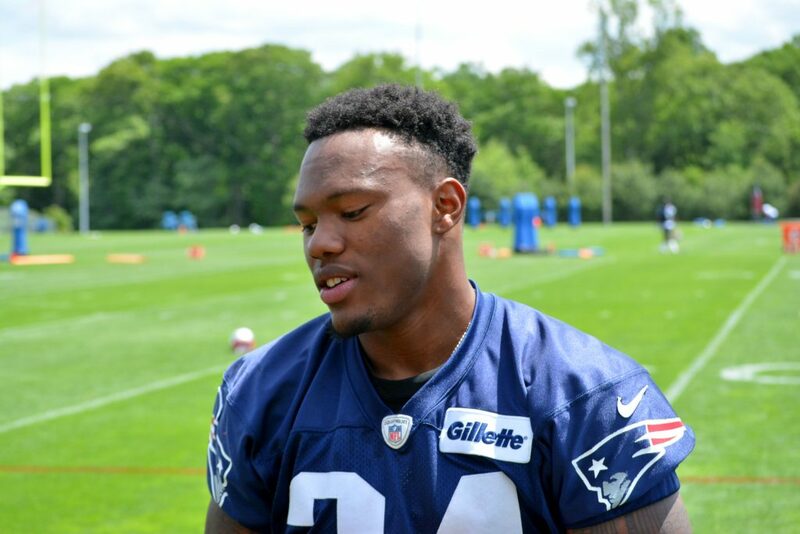 Rookie Cyrus Jones seems to have passed Justin Coleman for the third or slot corner position. Coleman still looks in good shape to make the team, so the three players vying for one final spot have a final chance to impress the coaches. 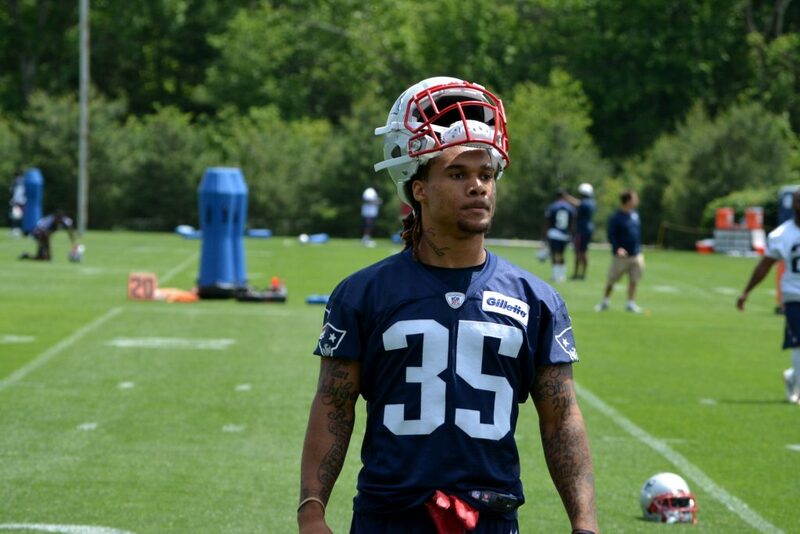 Cre’Von LeBlanc has probably impressed more than the other two and has gotten plenty of reps earlier in games. He’s shown good cover skills and physicality and the ability to make plays while the ball is in the air. Belichick spoke on Tuesday about why this skill is important and some players seem to have it ingrained. But he’s been dealing with a hip issue. Will he play this week? And if not, has he done enough to stick? Jonathan Jones and Darryl Roberts are just behind LeBlanc in terms of cornerback play. Both have had good and bad moments this summer, but each brings a special teams’ element to the table that LeBlanc doesn’t have. Keep your eyes on each. The more you do (Pt.3). Wide Receivers Try to Make Final Push: The Patriots seem to have their wide receiver positions set, but some questions still remain. 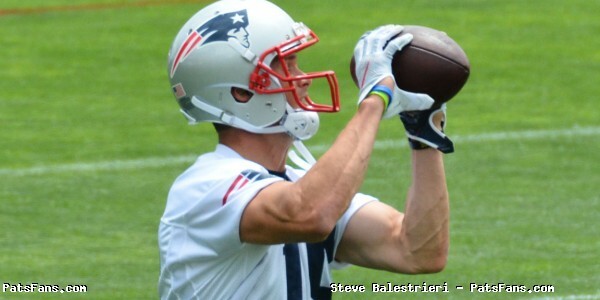 Danny Amendola is still on the PUP. Will he stay on it for the first six weeks of the season or will he be able to start the season on time? Rookie Malcolm Mitchell was quickly becoming a part of the passing offense when he dislocated his elbow during the game against the Saints. He’s now back to practicing with the team in positional drills but may not be ready to go in Arizona. 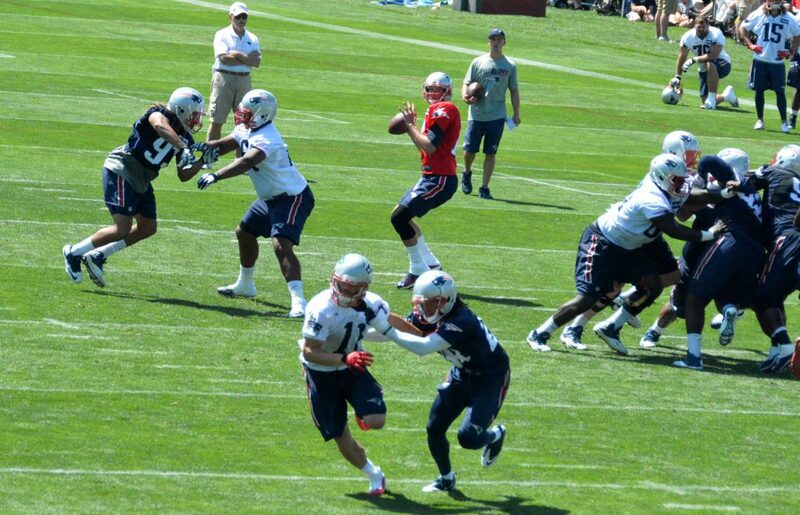 It comes down to Keshawn Martin, Aaron Dobson, and DeAndre Carter. Martin has the most upside, he was a small but key part of the offense a year ago and also helped the team by returning punts and kicks. He was given a contract extension in January with a $600,000-dollar bonus. He’s missed some valuable time this summer but if he can show the coaches that he’s able to knock off the rust, his status should be secure on the roster. Is Dobson reportedly on the trading block? So with that said, he’ll probably turn in the game of the week against the Giants right? He’s been an enigma in his time in New England. Just when you’re ready to write him off, he turns it around and makes you see what they saw in him. 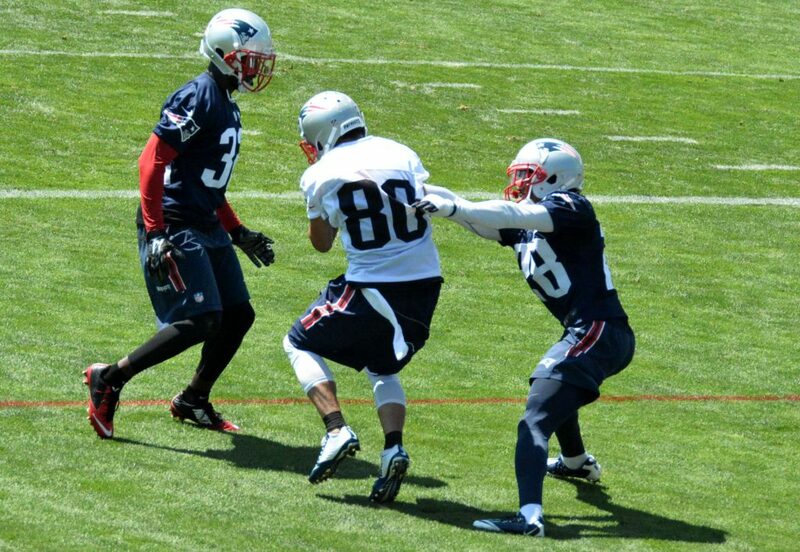 Amendola’s status will directly tie into Dobson’s. 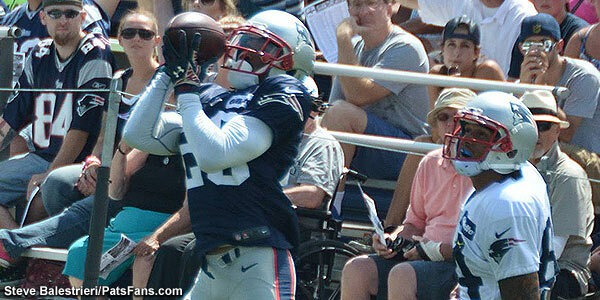 If Amendola goes on PUP to start the year, I think Dobson may have the edge over Carter. Carter has played well this summer and has flashed numerous times. With him, it comes down to a numbers crunch but he could turn few heads with a standout performance against the Giants. Interior Defensive Line: The Patriots cut ties to veteran and free agent signee Terrance Knighton, who most of us had as a lock earlier this summer. But he struggled in learning the Pats’ two-gap system and it opened the door for a couple of guys who are playing really well. 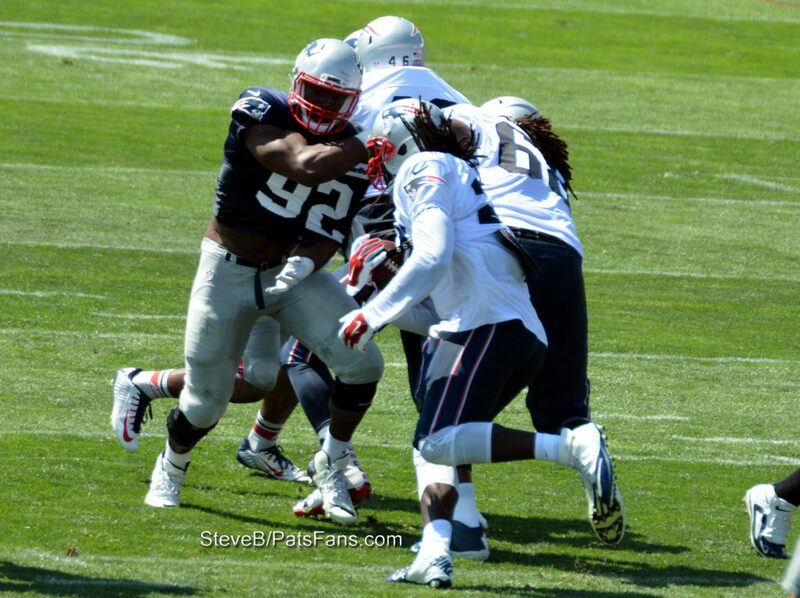 With Malcom Brown, Vincent Valentine and Alan Branch roster locks, there is still room on the roster for one more. Markus Kuhn and Anthony Johnson have both played well, albeit in different roles. Kuhn came over in free agency from the Giants and wasn’t given much of a shot to make the roster. Well, with injuries and such to start the spring and summer workouts, he got a lot of solid, first-team reps and has been another big, run-stuffing presence inside. He’s been a pleasant surprise after arriving with a not-so-stellar reputation. Johnson, on the other hand, is an undersized, penetrating defensive tackle who has really come on lately. He’s played well all summer but didn’t get a ton of reps to really show what he can do. He’s built more along the lines of a Dominique Easley. I would expect both to play a ton of snaps tonight. If each plays well, then the coaches will have to decide on another big body inside or a slightly smaller more athletic pass rusher. Stay tuned to PatsFans.com as we’ll have some post-game critique and analysis. 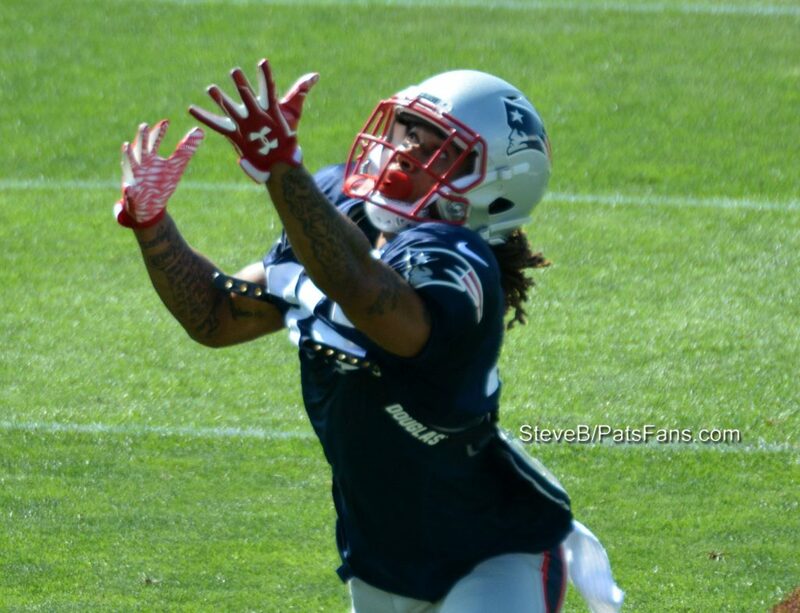 This entry was posted in Patriots Commentary, Patriots News and tagged 2016 Patriots Roster, 53 Man Roster Projection, Aaron Dobson, Anthony Johnson, Bill Belichick, Chris Harper, Cre'von Leblanc, D.J. Foster, Danny Amendola, Darryl Roberts, DeAndre Carter, Geneo Grissom, Jabaal Sheard, Jimmy Garoppolo, Jonathan Jones, Keshawn Martin, LaGarrette Blount, Malcolm Butler, Markus Kuhn, New England Patriots, NFL, Patriots, Patriots edge rushers, Rob Gronkowski, Rob Ninkovich, Tom Brady, Trey Flowers, Tyler Gaffney on September 1, 2016 by Steve Balestrieri. The Patriots roster currently has 82 players listed, by tomorrow afternoon at 4 p.m. that number will be slashed as seven players will be released. The team has to be at the league mandated 75 player limit Tuesday. An additional 22 players will be released just a few days after that on Sept. 3 as all NFL teams must be at the 53-man roster limit. With the depth of the current roster, there will be few easy decisions for the coaching staff and for the players on the roster bubble, this will be the uneasy time of wondering if they did enough to warrant sticking around. 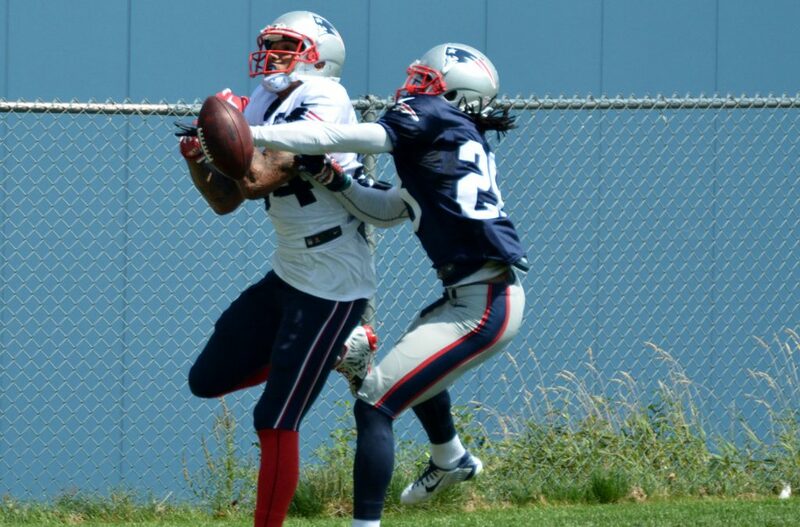 One area to monitor will be the cornerback position. 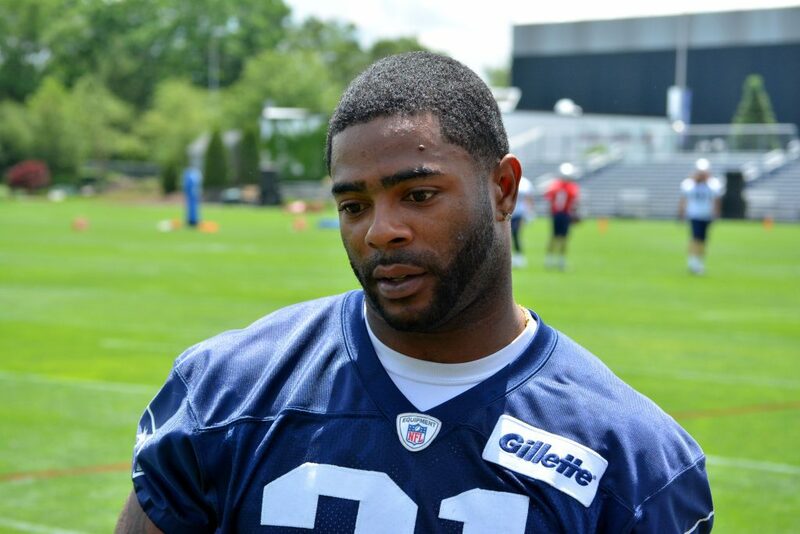 With Malcolm Butler, Logan Ryan and Cyrus Jones roster locks and Justin Coleman a near roster certainty, that leaves one spot open for three deserving players. Cre’Von LeBlanc was given the most opportunity to shine this week against Carolina and he has responded in my opinion in a big way. He’s very competitive and like all good corners has a short memory. He won’t let a play where an opposing receiver makes a play effect his next snap. The least athletic (numbers wise) of the three, he’s allowed the most receptions but has faced the best competition frequently seeing the opposition’s starters. Jonathan Jones and Darryl Roberts have each acquitted themselves well this summer. Both are extremely athletic and have produced on the field. Roberts, while playing albeit later in games has allowed only 1 pass completion in 11 attempts and has three passes defensed. Jones has allowed a few more receptions but he too has been solid. What could turn the table in regards to those players are special teams contributions. Both Jones and Roberts have made plays on STs this summer and that can’t be discounted when the cut-down takes place. Another area to watch is the defensive line. On the interior, veteran Terrance Knighton has to be feeling the heat right now. He’s struggled to pick up the Patriots two-gap system and has been being outplayed by Markus Kuhn and Anthony Johnson. With Malcom Brown and rookie Vincent Valentine (by virtue of his draft position) locked, it leaves two additional spots. 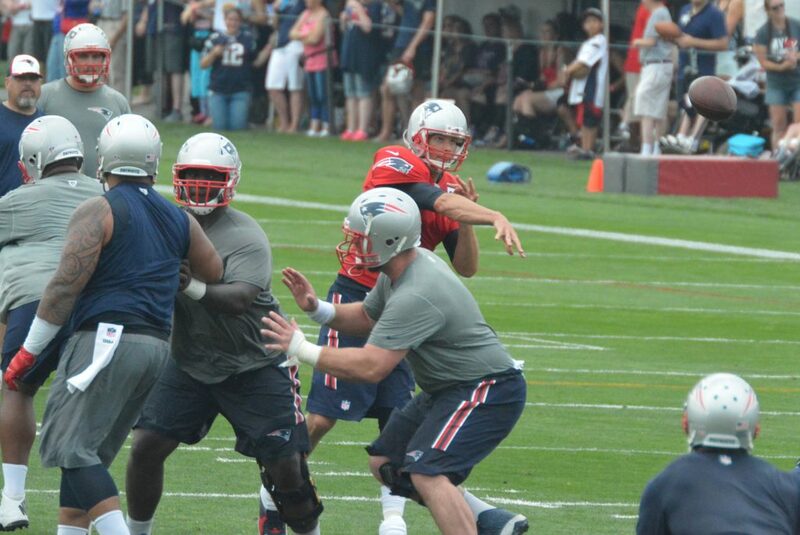 Kuhn and Johnson, as well as Knighton, are vying for one while veteran Alan Branch should lock down the other. Branch was suspended a week ago by the team but if they didn’t have plans for him, they’d have just released him then. With three slots seemingly locked down, three players are vying for the final spot. Johnson is an intriguing case. The undersized DT has shown nice explosion and disruption inside but could his size work against him? The team has shown that they like to move the bigger edge rushers inside in a sort of NASCAR package on passing downs. They may deem Johnson’s talent can be covered by another player and opt for another bigger body inside. Edge rushers Geneo Grissom and Rufus Johnson will be interesting cases. Now with the addition of Barkevious Mingo, that will obviously impact not only the entire roster but specifically the defensive side of the ball. One or both of them could be looking at the axe in the coming days. 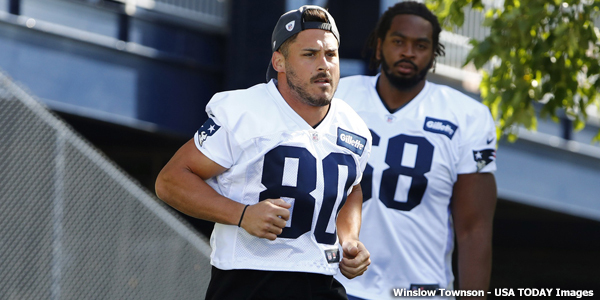 At wide receiver, the decision whether to activate Danny Amendola from the PUP list or let him start the season there will impact the decision on who gets cut or kept. 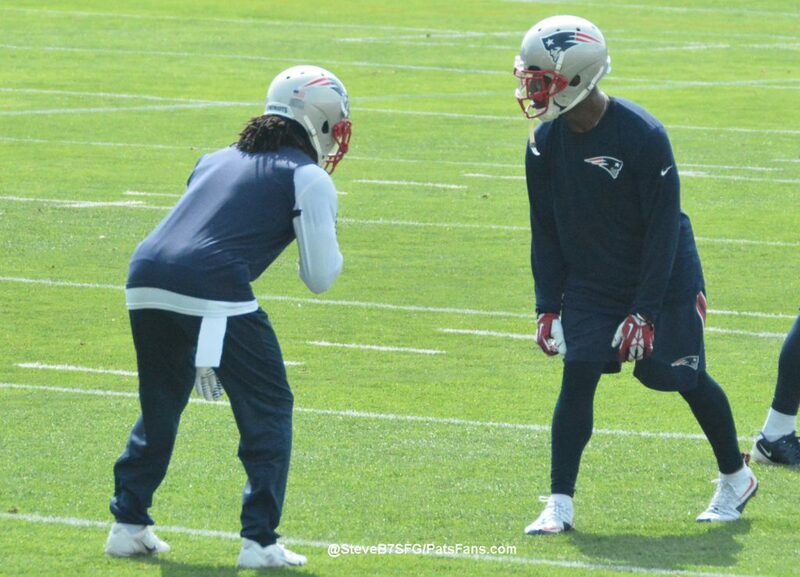 Aaron Dobson and Keshawn Martin are vying for the fifth and final WR spot on the roster. With Julian Edelman, Chris Hogan and Malcolm Mitchell roster locks, Amendola’s status will either open up another spot or create an opening. If Amendola starts the year on PUP, then both Martin and Dobson should be safe and DeAndre Carter, Chris Harper, and Devin Lucien will be looking at practice squad positions. It will be a difficult balance for the coaches this week, trying to decide on how it is best to proceed. The same is true at the running back position. With LeGarrette Blount, James White and STs ace Brandon Bolden being essentially locked in, who stays and who goes? Tyler Gaffney fills the big back role and has shown he can carry the ball and be effective between the tackles. Rookie D.J. Foster has electric speed and athleticism out of the backfield but missed nearly all summer with a hamstring injury. Can either one of these players crack the roster or will the team opt to bring in a veteran who may find himself on the outs elsewhere? One thing is for sure, the Patriots will be scouring the waiver wire, not only tomorrow but in the coming days. That’s why the 53-man roster on September 3, is seldom the one you’ll see later in the season. The sad part of the business side of the NFL is that about 30 players on the Patriots roster will be out of work in the next week. Many of them have earned a place at the table but it comes down to a simple numbers crunch. 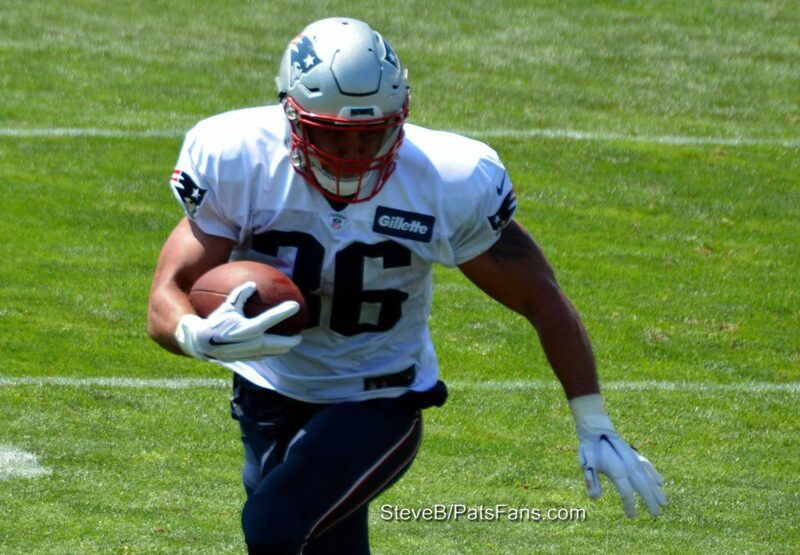 This entry was posted in Patriots Commentary, Patriots News and tagged 2016 Patriots Roster, 53 Man Roster Projection, Alan Branch, Bill Belichick, Chris Long, Cre'von Leblanc, Darryl Roberts, Dion Lewis, Dont'a Hightower, Geneo Grissom, Jabaal Sheard, Jimmy Garoppolo, Jonathan Jones, Julian Edelman, LaGarrette Blount, Logan Ryan, Malcolm Butler, New England Patriots, NFL, Patriots, Patriots edge rushers, Patriots running backs, Patriots wide receivers, Rob Ninkovich, Terrance Knighton, Tom Brady, Trey Flowers on August 29, 2016 by Steve Balestrieri. In this episode, we discussed the latest in Patriots news which included Kevin Faulk being inducted into the Patriots Hall Of Fame, along with the latest in regards to Tom Brady and DeflateGate. 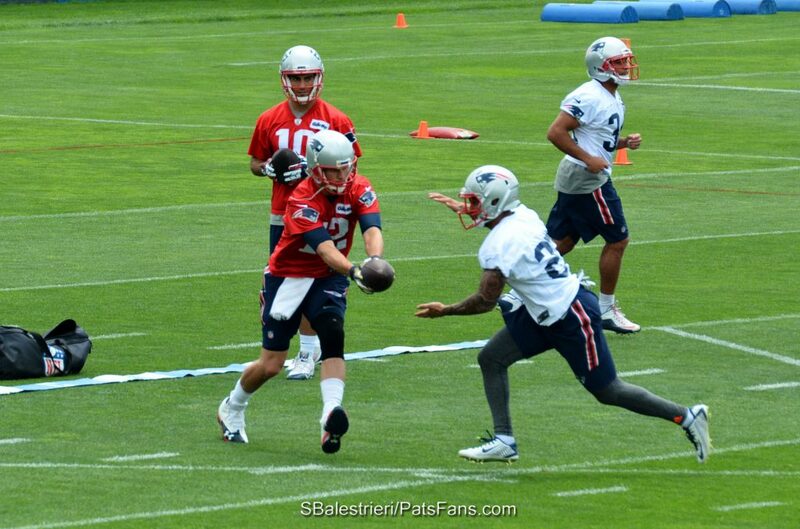 Later on, we discussed the article from Steve Balestrieri entitled ” The Five Things The Patriots OTA’s Should Feature”. We ended the show by answering your questions. 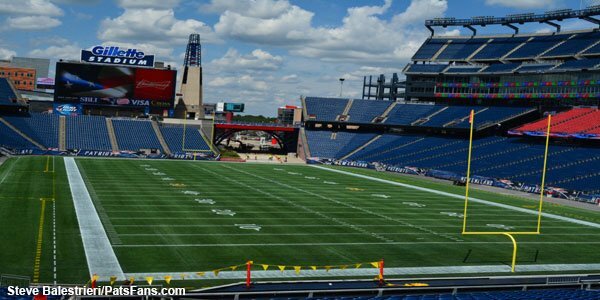 This entry was posted in Patriots Commentary, Patriots News, Patriots Podcast and tagged 2016 Patriots Roster, 53 Man Roster Projection, Bill Belichick, Clay Harbor, Danny Amendola, Darryl Roberts, Dion Lewis, Julian Edelman, Logan Ryan, Malcolm Butler, Martellus Bennett, Tom Brady on May 25, 2016 by Russ Goldman. The Patriots drafted Alabama cornerback Cyrus Jones with their first pick in the 2016 NFL Draft with the 60th overall pick. Jones is expected to immediately contend for slot corner duties immediately with a chance at moving outside later. Another player who can possibly vie for starting reps outside in 2016 is 2nd-year corner Darryl Roberts. Roberts was drafted by the Patriots with a 7th round draft pick (247th overall), out of Marshall last season. An incredibly gifted athlete, he had a big performance at Marshall’s Pro Day running a 4.38-second 40-yard dash with a 6.66-second time in the 3-Cone Drill, a 4.06-second short shuttle, a 39-inch vertical leap, and an 11’1”-inch broad jump. He also benched 225 pounds 23 times. 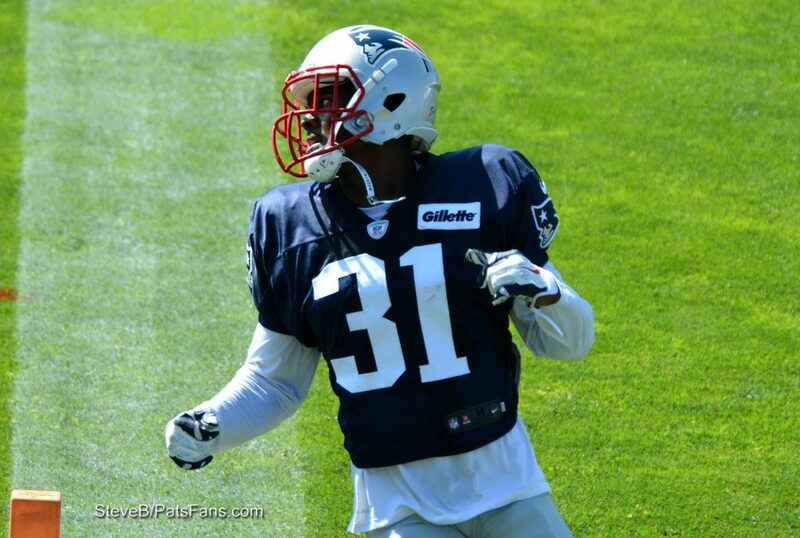 He’s the tallest of the Patriots corners currently on the roster, just topping out at 6’0 and 190 pounds. Roberts is a tough, physical corner with long arms that he uses aggressively in press coverage. He has outstanding change of direction skills and has the speed to mirror receivers downfield as well as recover when the ball is in the air. With the huge turnover at the position last season, the competition was essentially wide open entering training camp. Roberts was tossed right into the mix, getting essentially first team reps against Julian Edelman and Danny Amendola early in training camp. The results were about what one would expect. Coming from a small school, Roberts wasn’t prepared for the quickness off the line of the Patriots shifty receivers. He was playing too high in his backpedal and wasn’t able to get a good jam at the line. As a result, for the first couple of days, he was getting beat regularly. But the light quickly came on and Roberts began to improve markedly as camp wound along. His coverage got tighter, his physicality improved and he began making more and more plays as the days passed. Was he rising ala Malcolm Butler in 2014? No, not quite. But his level of play had increased to the point of being noticeably better. One day during the dog days of August, he broke up four passes in the training session, one of which was intercepted. He earned the start in the Patriots first preseason game of the year against the Green Bay Packers and it was in this game that his season came to a halt. In trying to tackle the Packers Eddie Lacy, Roberts badly dislocated his wrist. The recovery time for that injury is about 8 weeks but the Patriots made the decision to place him on season-ending IR. He was fully healed by the time the season ended. Now with a clean bill of health, Roberts should have no issues with once again competing for a spot on the roster and possibly for some starting reps. Unlike Jones who can play inside or out, Roberts is ideally a fit for the perimeter. There, his length, athleticism, and physicality can impact the play, giving the Patriots another option at covering opponents’ wide receivers. He joins a crowded group of ten corners this spring including, Malcolm Butler, Logan Ryan, Cyrus Jones, Justin Coleman, E.J. Biggers, Brock Vereen, Cre’Von LeBlanc, V’Angelo Bentley, Jonathan Jones. But with Logan Ryan being an unrestricted free agent in 2017, the Patriots will be looking within to see if there is a player currently on the roster that can step up and play on the outside. Jones is one of those guys but for now, he’ll compete with Justin Coleman for reps in the slot. Roberts should vie with Biggers initially for reps backing up the starters outside in Butler and Ryan. If last season is any indication, he may indeed by ready for a bigger slice of the pie. He also has special teams’ capability with his speed and athleticism, something that the Patriots always covet in their players. While all eyes will be focused on Jones this summer and rightfully so, don’t be surprised if Roberts, the 7th round pick from last season starts to turn heads again once the players hit the field. 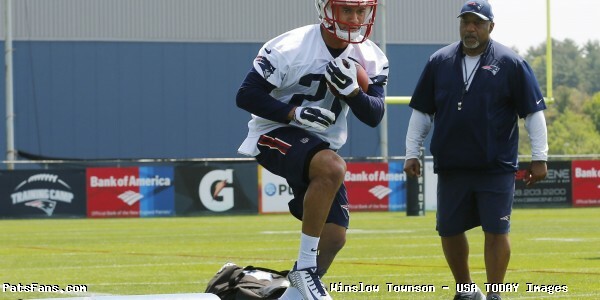 This entry was posted in Patriots Commentary, Patriots News and tagged 2015 NFL Preseason, 2015 Patriots Training Camp, 2016 Patriots Roster, 53 Man Roster Projection, Brock Vereen, Cre'von Leblanc, Cyrus Jones, Danny Amendola, Darryl Roberts, E.J. 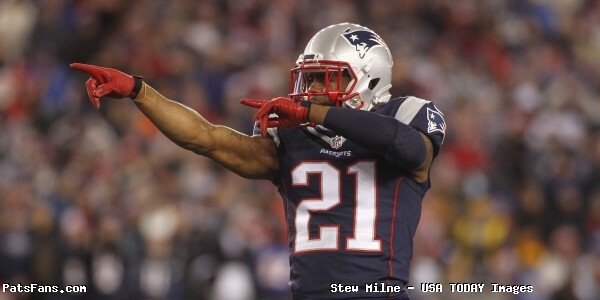 Biggers, Jonathan Jones, Julian Edelman, Justin Coleman, Logan Ryan, Malcolm Butler, New England Patriots, NFL, Patriots, Tom Brady, V'Angelo Bentley on May 10, 2016 by Steve Balestrieri. 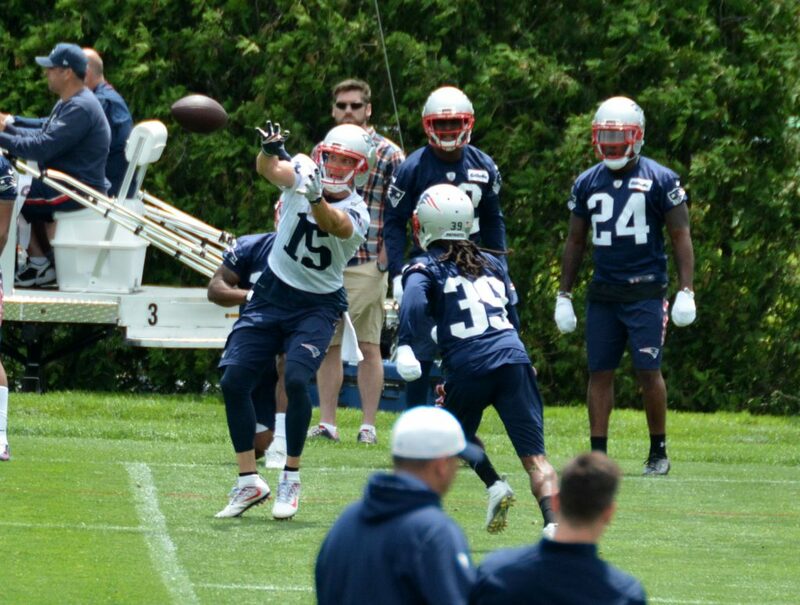 Yesterday we wrote about the WR position and how the OTAs, Mini-camp and Training Camp battles should be intense. The same should be true about the cornerback position. Between the draft and signing UDFAs, the Patriots have added four new faces at corner and should be looking at some great competition this summer. Top draft pick Cyrus Jones from Alabama, taken in the 2nd round of the draft with the #60 overall pick will naturally get a lot of attention this summer and with just cause. He should immediately vie for reps and can play either inside or outside. A converted WR, Jones is slightly undersized at 5’10, but is physical, strong and has been improving in his coverage every year. He’s can mirror wide receivers down the field and is very active in run support. Jones is a dynamic punt returner with 4 returns for TDs in 2015. He ran a 4.49 in the 40-yard dash and an outstanding 6.71 in the all-important 3-Cone Drill. 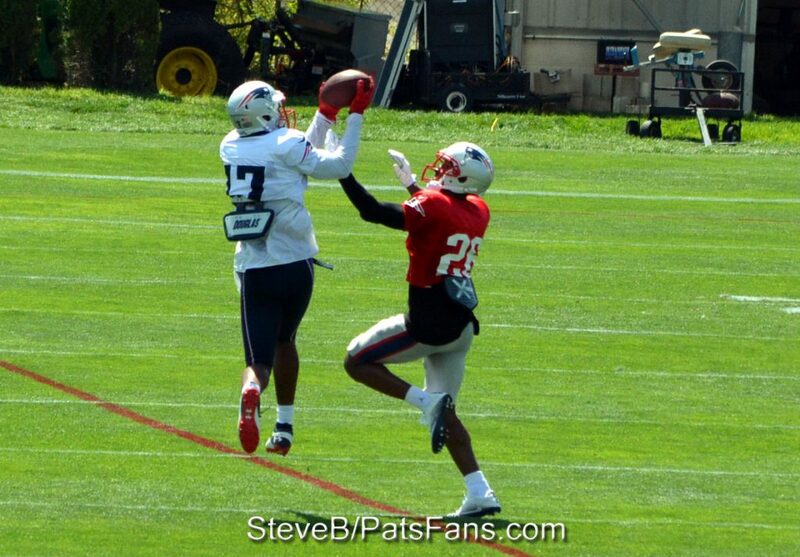 The Patriots also added three other corners, the theme being they’re being undersized but very athletic. They included Jonathan Jones from Auburn, V’Angelo Bentley from Illinois and Cre’Von Leblanc from Florida Atlantic. Bentley and Leblanc like Cyrus Jones have experience running back kickoffs and Jonathan Jones was a nationally ranked track star. Jones was an All-SEC Selection in 2014 and ran a blistering 4.33 in the 40 at the NFL Combine as well as a 7.25-second three-cone, 36-inch vertical leap, and 123-inch broad jump. Strong for his size, he did 19 reps on the bench press. He notched 129 tackles, seven interceptions, with 24 passes defended over his Tigers career. We ran a draft profile on him earlier during the draft process on his being a fit for the Patriots. Bentley is another corner who isn’t the biggest guy at 5’10, 190 pounds, but he provided good production with 54 tackles, three TFL, sack, 743 kick/punt return yards last season. He was the only player in school history to score on a kick return, punt return, interception, and a fumble. Leblanc is the third smaller but physical and athletic corner that the Patriots brought in as a UDFA. He too has special teams’ expertise, returning 29 kickoffs for 556 yards in his career. 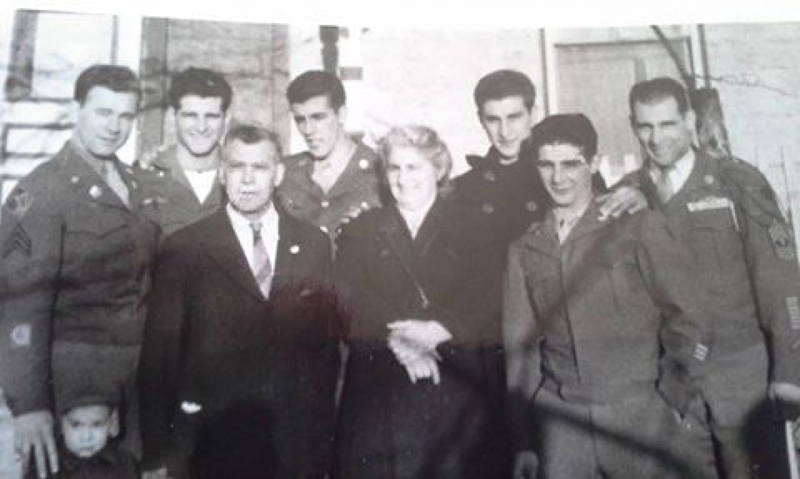 While only 5’9, 194-pounds, he’s a stocky, muscular defender who was known for his versatility as a cover man/run stopper/blitzer. He doesn’t have great top-end speed (4.65 time in the 40) but did run a 6.91 in the 3-Cone. 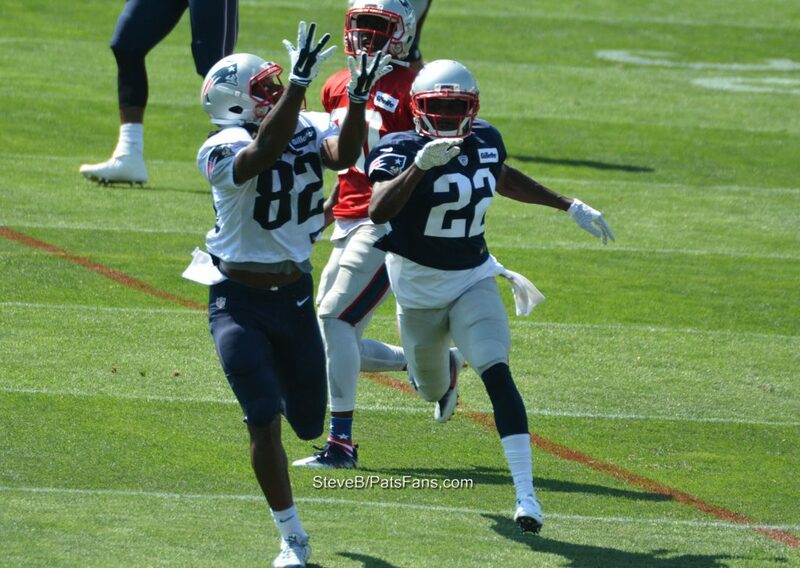 These new faces will have the daunting task of unseating the veterans and three returning starters from last season in Malcolm Butler, Logan Ryan and Justin Coleman in the slot. Butler will be a restricted free agent after the 2016 season, but isn’t going anywhere. Ryan is an unrestricted free agent after this year and as is the norm, you can’t keep everyone, so one of these young players may be vying for his spot. The team also has recently signed E.J. Biggers a veteran backup and last season’s 7th round draft in Darryl Roberts. Roberts is an intriguing player who turned heads at last season’s training camp and earned the start for the team’s first preseason game, before injuring his wrist and being placed on IR. Roberts too brings some very gifted athleticism to the table. He ran a 4.38-second 40-yard dash with a 6.66-second 3-cone, a 4.06-second short shuttle, with a 39-inch vertical leap, 23 reps on the bench press and an 11’1 broad jump at his Pro Day last year. Unlike the rest of the league who are all trending to the bigger more physical corners, the Patriots are content with taking the slightly smaller, more athletic ones. Roberts and Biggers are the only corners at 6’0. Butler, Ryan and Coleman are listed at 5’11 and the rookie class is all under that. It will be interesting to see who rises above the pack to nail down reps early this summer. While Cyrus Jones will be looked to push immediately for reps, Roberts and Coleman will have something to say about that. With the old adage that you can never have enough good corners, the Patriots seem to be in that position this season. After entering 2015 with a ton of questions at the position, now they have three starters returning…something that hasn’t happened in recent memory with several talented youngsters waiting in the wings vying to compete. The corner position will definitely be an intriguing one to watch this summer. This entry was posted in Patriots 2016 NFL Draft, Patriots Commentary and tagged 2016 NFL Combine, 2016 NFL Draft, 2016 Patriots Draft, 2016 Patriots Roster, 53 Man Roster Projection, Bill Belichick, Cre'von Leblanc, Cyrus Jones, Darryl Roberts, EJ Biggers, Jonathan Jones, Justin Coleman, Logan Ryan, Malcolm Butler, New England Patriots, NFL, Patriots, Patriots cornerbacks, V'Angelo Bentley on May 4, 2016 by Steve Balestrieri.